Gr 4 Up—Charlie Hamilton James is a wildlife cameraman and an avid otter fanatic. His affinity and passion for his subjects is evident as he studies otters in the wild and in captivity. Their numbers are in decline globally due to habitat destruction, human greed for their food, and hunting for sport and fur. The film takes viewers to Florida to study North American river otters. Normally shy and fearful of humans, the ones in Florida are bolder and curious as James swims with them and films them. In Peru, viewers encounter giant river otters and witness a spectacular encounter between an otter family and a caiman. Sea otters in California and Alaska are featured as well. The most endearing part of the program is when James follows a family of three orphans as they are rescued, nurtured, rehabilitated, educated, and released back into the wild in Wisconsin. Anatomy is discussed and how the animals have adapted to survive in various environments is highlighted. James also theorizes that otters can smell underwater and conducts an experiment to prove it. This is a fine demonstration for science students who must develop questions, set up experiments, and gather evidence to prove hypotheses in keeping with Next Generation Science Standards. 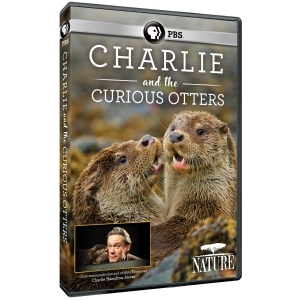 VERDICT This entertaining and informative film will be enjoyed by science classes and animal lovers and will win new otter fans.